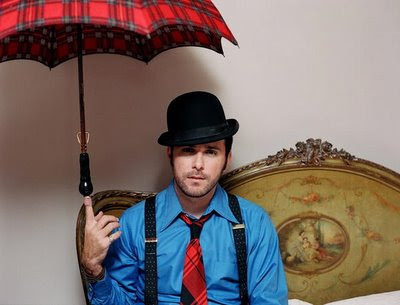 Always More to Hear: Greg Laswell: "How the Day Sounds"
Greg Laswell: "How the Day Sounds"
The sad and melodic Greg Laswell has the honor of being my first entry for this new blog. If asked to describe his sound to folks that haven't heard him, it would have to be like if Duncan Sheik was the lead singer of Coldplay. With his painfully sweet lyrics, driving piano rhythms and subtle production quality, Greg's music got under my skin and "forced" me to buy his two albums and E.P. on amazon. Just this evening, I had the opportunity to see the San Diegan native play a live set at the Cafe du Nord in San Fransisco. Other than the loud German (could have been Austrian, not sure) girls talking loudly right behind me and talking flash photography, it was a wonderful show. With just one other musician, an exquisite quitarist whose name I believe is Brandon, Greg played several songs off his new album Three Flights from Alto Nido,which I discovered was the location where most of the songs on the album were written. I spotted Greg right before his set on the way out for a cigarette and had a nice quick chat with him. Trying to not sound like a stalker (probably a good thing I didn't mention that I spent a good amount of time watching everything I could on youtube with him in it), I was able to share that this myspace fan site plays almost all of his music in its entirety. He said he didn't mind as long as people were listening to it. So you have his approval, don't feel bad that it's free, take a listen. I think I like how the day sounds through this new dawn. Check out the the awesome video starring Greg, guitarist Brandon and great supporter of independent music Elijah Wood, who has his own label, dancing around a grocery store in hipster suits and hats with glass soda bottles. The cool vocal echo effects on "way down" during the bridge, around 1:35. October 24, 2008. Greg's "And Then You" was featured last night on Grey's Anatomy (as annoying as the show is, I can't stop watching it and it DOES propel unknown artists into a new level of success). The album cover was also flashed for a couple seconds at the end of the episode. It's of course become Greg's most popular songs on itunes. He's going back on the road, so check out his tour schedule. I already have my tickets back at Cafe du Nord on November 3rd in San Fran. Congratulations Greg! I see big things happening for you in the near future! This blog is going to be dangerous! I've already downloaded 4 of his songs. Pretty soon my computer will be spilling over with music files as well! That's great Sarah! Thank you. I take that comment as a huge compliment (as in you approve!) Which songs are your favorite? I'm all about the steady grooves, it would seem. Oooo, those are good ones! Let me know if you find something cool in the depths of your music collection! The best Christian Ska in the World: ZAP!